This smiley little guy made my day! I’m reposting this to remind everyone what a great thing it is to BOO-ze your friends during Halloween. Get out there and spread the Halloween cheer! Last year I was so excited to find an unexpected gift on my doorstep – a festive bagful of craft beer and other assorted treats! I got BOO-zed! It was a totally new concept to me and one that I instantly wanted to share with as many folks as possible. Problem was that I caught on to the trend too late, as Halloween was already upon us, so this year I’ve decided to spread the word with plenty of time for all of you folks to participate. With that in mind, I’ve put together this guide on how to “BOO-ze” your friends, complete with links to the “BOO-zed poem” which explains the tradition and a “We’ve Been Boo-zed” ghost picture in an easy to print form. This way there’s nothing stopping you from getting started in your neck of the woods. 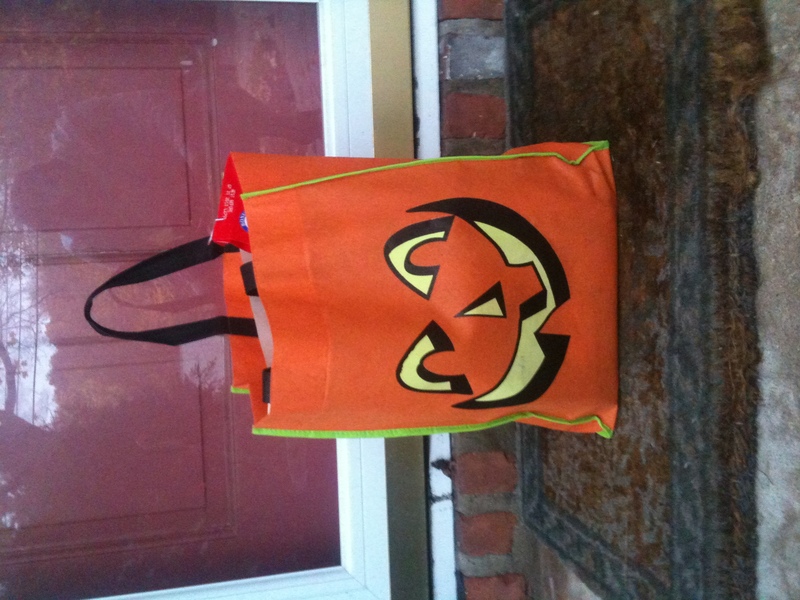 Get two strong Halloween-themed bags or plastic pumpkins and fill them with grown-up treats, like good craft beer, a little whiskey, chocolates, cookies, etc. Whatever you think your friends will enjoy or get a laugh out of. When your friend gets their treats, they will be asked to choose two friends to “BOO-ze” and keep the tradition going. It’s kind of like a chain letter, but one you really, really want to get. Your friends will also be instructed to place the ghost picture on their door so they don’t get “BOO-zed” more than once. That wouldn’t be fair. So there you have it. Now get out there and make Halloween memorable for your friends and neighbors! Also, please consider sharing this page with anyone you think might get into “BOO-zing” – it’s a terrific tradition and we really want it to spread like wildfire. ← Woodenville White Dog: My First Sip of Whiskey in the Raw! Awesome! This is a really cool idea. THIS IS MY NEW FAVORITE THING. I WILL BOO-ZE ALL OF THE PEOPLE!!!! Boo-zing is one of my favorite things during October (we call it Booing to keep it G rated). Every year though I am the one that starts but wish someone else would. One of my favorite things to do in October is to “Boo” my neighbors. Here is http://beerandwhiskeybros.com idea of “Boo-ze”. Spread the Cheer! This is my favorite new holiday tradition. Great job guys – thanks for introducing it to us last year!